Use this official coupon code to save on your Driver Easy purchase. Wondering how to use the coupon code to get the 20% off sweet deal? 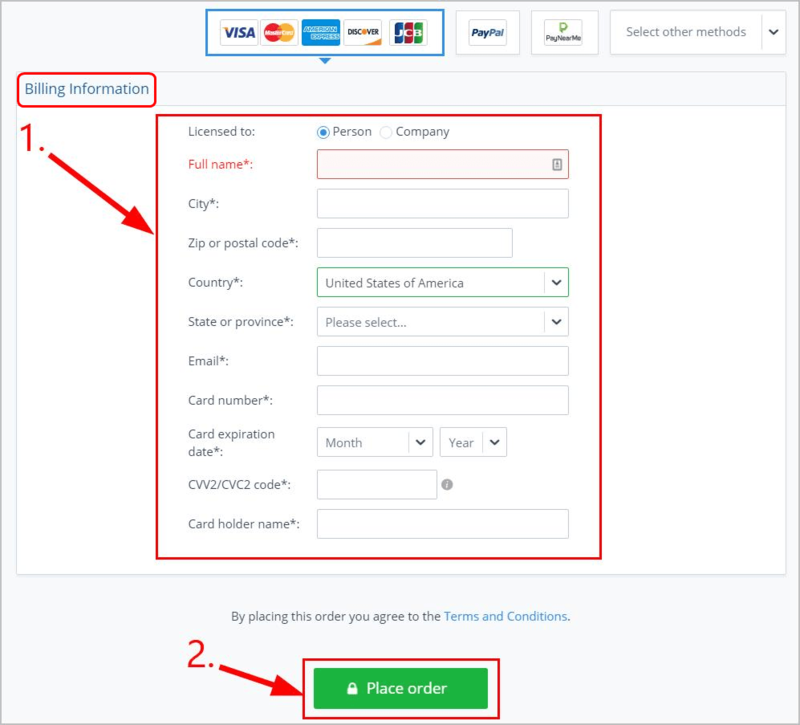 It’s actually very straightforward – just type the coupon code on the checkout page and it’ll be automatically applied. 1. Go to Driver Easy’s buy page, in License, click the down triangle and select a license plan that works for you and click BUY NOW. The coupon code is available in 1 PC for 1 year, 3PCs for 1 year as well as 10 PCs for 1 year license plans. 2. Tick the I have a discount coupon checkbox, then in the box next to it, type EASE-6YPW-GGYA. 3. Scroll down to the Billing information section and enter the required billing details and click Place order. Now you’ve successfully purchased Driver Easy with a 20% off discount. (such as a sound card, graphics card, keyboard and mouse) to communicate with Windows Operating System. Pretty much like an interpreter between the two, it translates Windows commands into instructions your devices understand so that the hardware works properly on your computer. Why do I need to keep my drivers updated? Updating drivers should always be your go-to option when something goes wrong with your computer or system. Every so often people blame Windows or hardware devices when their computer has problems. But the truth is, the computer problem is usually caused by something else – problem drivers. An outdated/wrong/incorrectly installed driver can cause various problems in sound, images, keyboard, mouse… among which the most notorious one is the blue screen of death. 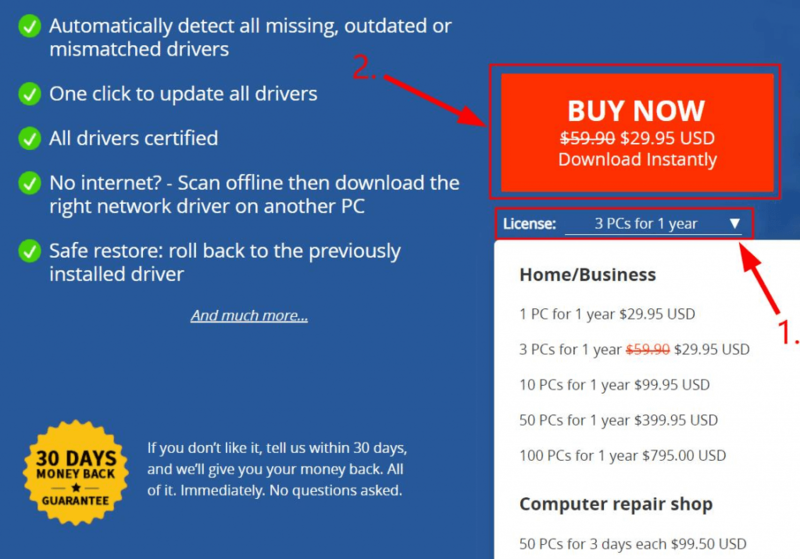 Driver Easy is a driver updater tool that has accessed to over 3 million certified device drivers. It has both a Free version and a Pro version. With the Free version, you can run a scan of your PC to see if there’s any devices with an outdated or missing driver, then you can click Update to automatically download the drivers one by one and install them on your own. This greatly saves you all the time, effort and headaches of having to locate the problem drivers and scouring the Internet for the correct drivers yourself.